The book provides students and academics in finance and banking with the most recent updates and changes in the Malaysian banking sector post-AFC period. The book explores the evolution of banking policies and practices after the "Tomyam Goong Crisis" and investigates the health of Malaysian banks via efficiency measurement. In addition, it also presents the evolution of bank risk management regulations and practices in Malaysia. The book also discusses the effectiveness of the Malaysian bank bailout strategy with comparison to the banks’ bailout in developed countries such as the US. This book is important and timely since there are very limited books in the market that cover the recent developments on Malaysian banking sectors post-AFC period. 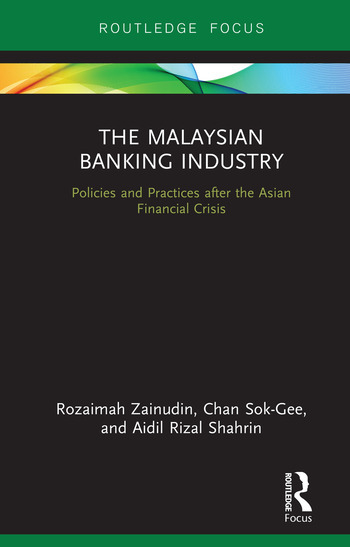 Hence, this book serves as the valuable resource for all finance and banking students, academic researchers, and practitioners not limited to the Asian region that require in-depth insights on the latest policies and practices in the Malaysian banking sector. Rozaimah Zainudin is Senior Lecturer at the Faculty of Business and Accountancy, University of Malaya, Malaysia. Prior to joining academia, she worked in the banking sector for seven years and was attached to a Banking Operations and System Department. Her areas of research include risk management, derivative markets, corporate finance, and international finance. Her research projects currently involve banking and financial wellbeing. Chan Sok-Gee is Senior Lecturer at the Faculty of Business and Accountancy, University of Malaya, Malaysia. Her commitment to research and publication, especially on the topic of bank performance, has led her to publication in world-recognized journals, such as the Global Economic Review, Review of Managerial Science, Prague Economic Papers, and others. Besides bank performance, her research areas include corporate governance and bank efficiency, economic efficiency analysis, and value-added tax. She has also been recognized as an outstanding young researcher by the University of Malaya. She serves as Editor-in-Chief of the Asian Journal of Economics, Business and Accounting. Aidil Rizal Shahrin is Senior Lecturer at the Department of Banking and Finance, Faculty of Business and Accountancy, University of Malaya, Malaysia. His research focuses on applied econometrics in the areas of finance and macroeconomics. He has been published in internationally refereed journals, such as the Journal of Economics and Statistics, the Romanian Journal of Forecasting, and the International Journal of Statistics and Economics. Recently, he has focused on bank efficiency, emphasizing the econometrics methodology.